Scott Reffitt suffered a life changing spinal cord injury last year as a result of an automobile accident. Scott’s injury is a C-4-C-5 Incomplete. He has very limited use of one arm and one hand. 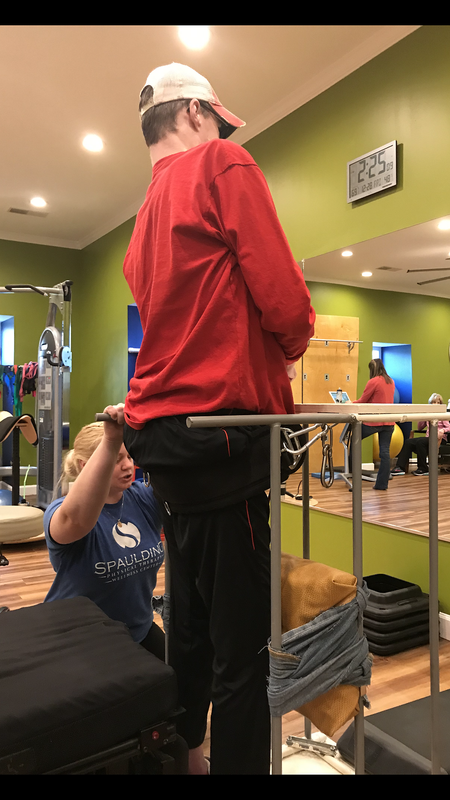 Scott is hoping that with your support and very hard work he will regain more use of his upper body and hopefully walk one day. Before the accident, Scott worked for 30 years on the loading dock for UPS. He was an avid golfer, played football in high school and basketball in a neighborhood group. He has even done some volunteer coaching for the school football team. He misses being able to walk our dog, Lucy and working out at the gym. Scott was strong and in very good shape prior to the accident which is helping him with his continuing rehabilitation. Scott loves to make people laugh and has fun cutting up with the staff at the rehab hospital. He also enjoys talking to the other spinal cord patients and has counseled several depressed patients, usually lifting their spirits. The specialists say there is a lot of hope for his recovery but it will take time. The more therapy he can get in the first 18-24 months is crucial to his eventual outcome. Even with insurance, there are many expenses related to his injury that must be paid out of pocket. Some of these are co-pays, deductibles, equipment, supplies and Scott’s insurance only covers a limited number of visits for rehab per year. In addition, our travel back and forth to the rehab center must also be paid out of pocket. This is where your support is needed. 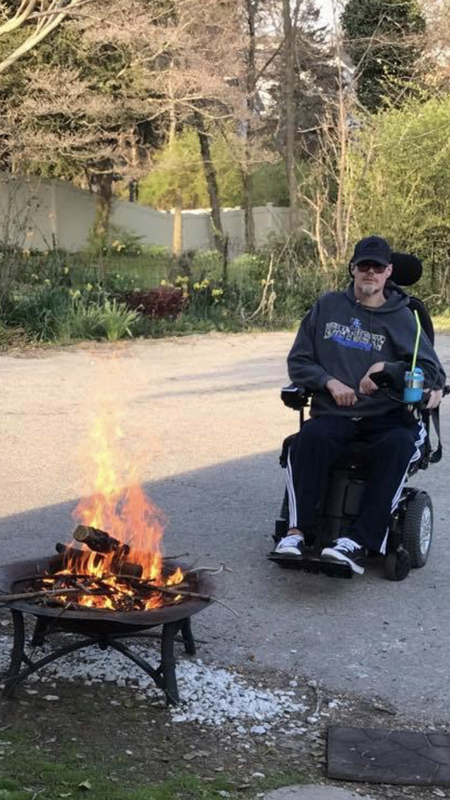 Donations to Help Hope Live can help ease the financial burden of a catastrophic injury and give Scott the chance to live his life as fully as possible. Make a donation right now by clicking on the Give button or by calling 800.642.8399. Donations are tax deductible to the extent allowed by law, and all funds raised will be used to offset medical expenses as part of the Help Hope Live South-Atlantic Catastrophic Injury Fund. On behalf of Scott, myself and our families, thank you for your ongoing kindness, generosity and support. Thanks to everyone who helped us pull off the golf scramble! It was a success and we hope to make this an annual event!